Structural abnormalities to the lower extremity may need to be identified and treated with.orthotics to lessen stress to the involved area. 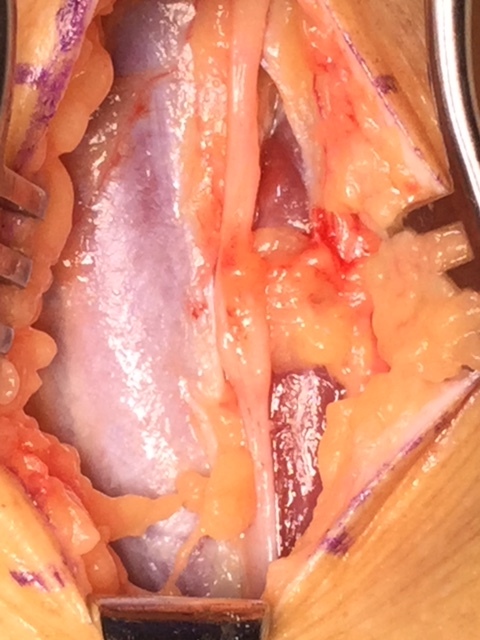 Intra-operative image of open fasciiotomy for chronic exertional compartment muscle syndrome where the bulging muscle belly can seen at the center of the image from build up of pressure within the compartment. 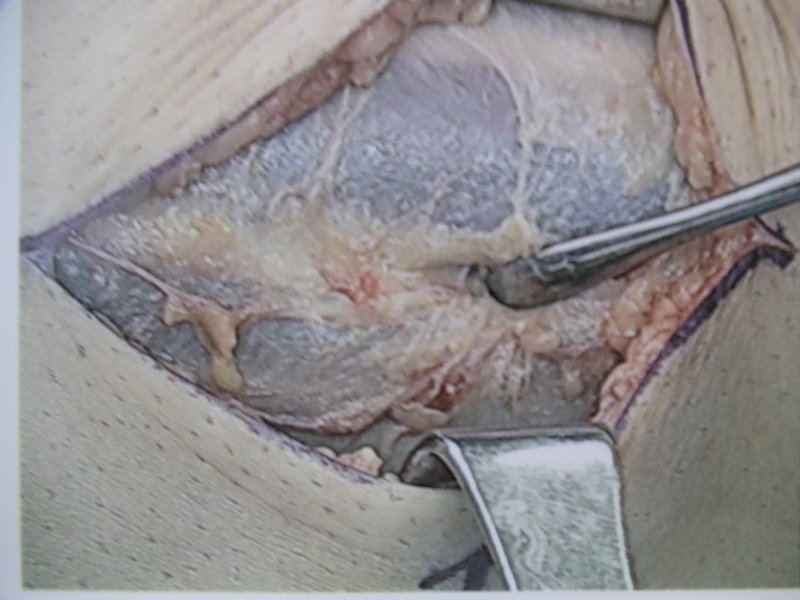 The following is the fascial covering over a muscle compartment. 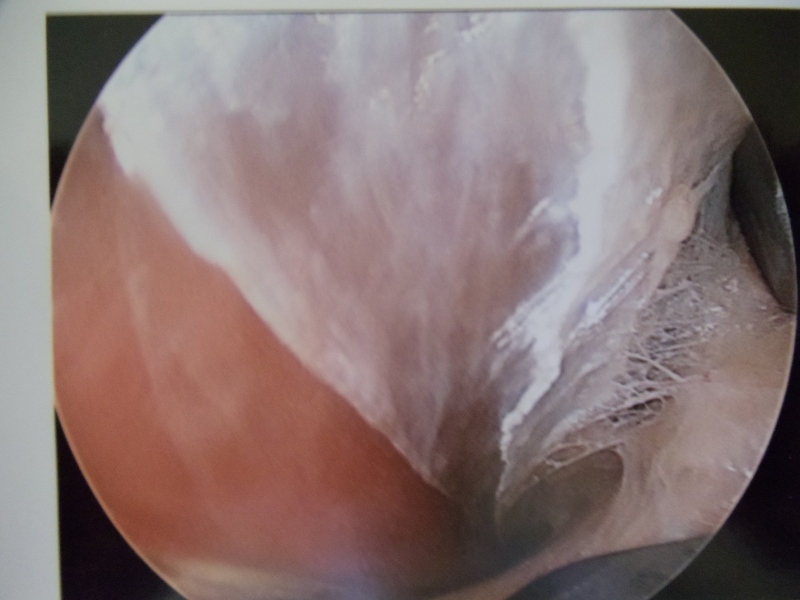 The condition occurs when pressure within this compartment builds up after an injury or can also occur after excercise from the inability of the muscle to decompress naturally. 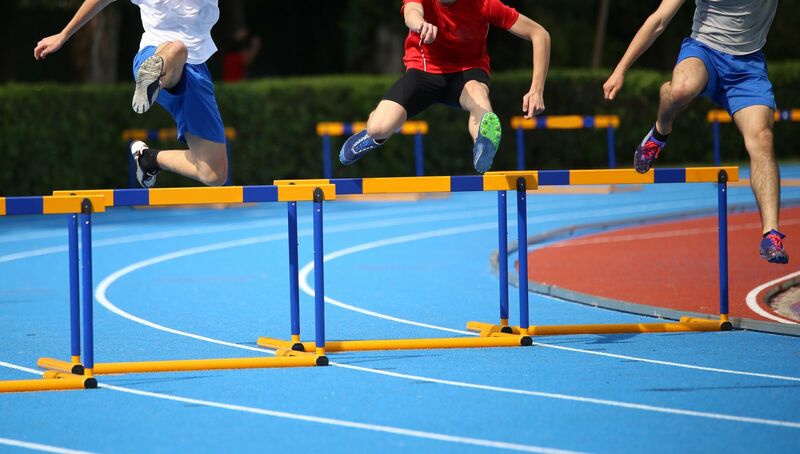 This leads to pain that is unrelenting and could lead to decreas blood flow and oxygen to muscle tissue causing death of that tissue. 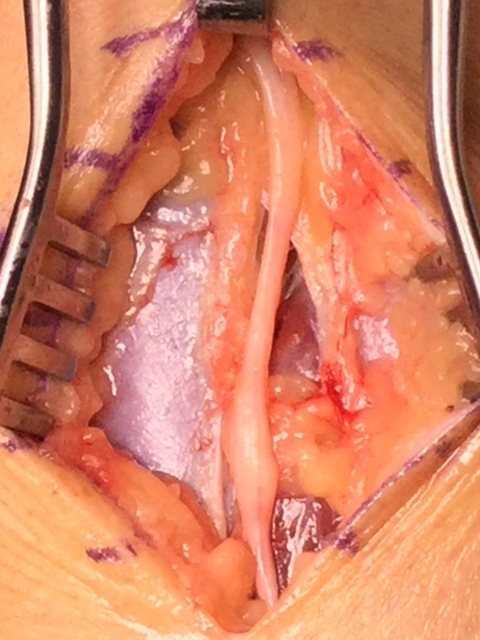 The picture below demonstrates the fascia overlying the tissue being lifted by the forceps at the top of the picture. 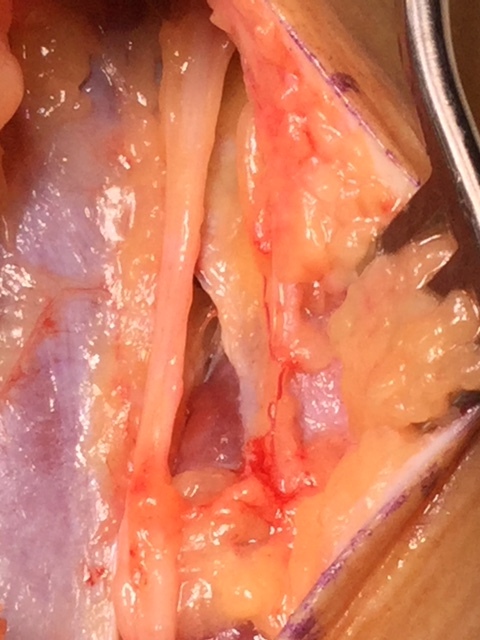 Below is demonstrates incision into the compartment exposing the muscle tissue that is a deeper red color where the retractor is to the left of the picture. The opening of the this fascial tissue is vital in releasing pressure in the compartment after injury or from excercise. It also important that this release be extensive as so the fascial tissue does not heal closed allowing build of pressure again. Lateral has been released. 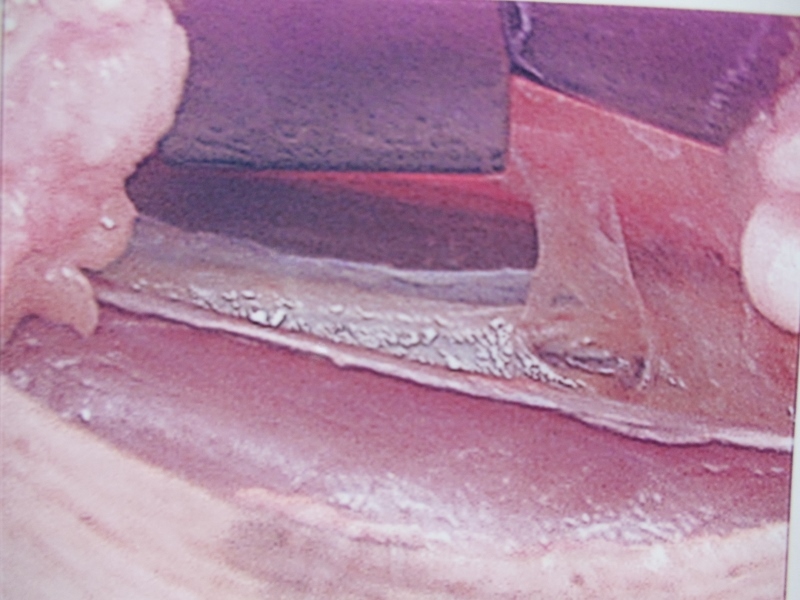 A small stab can be seen at the top of the fascia under the large instrument. 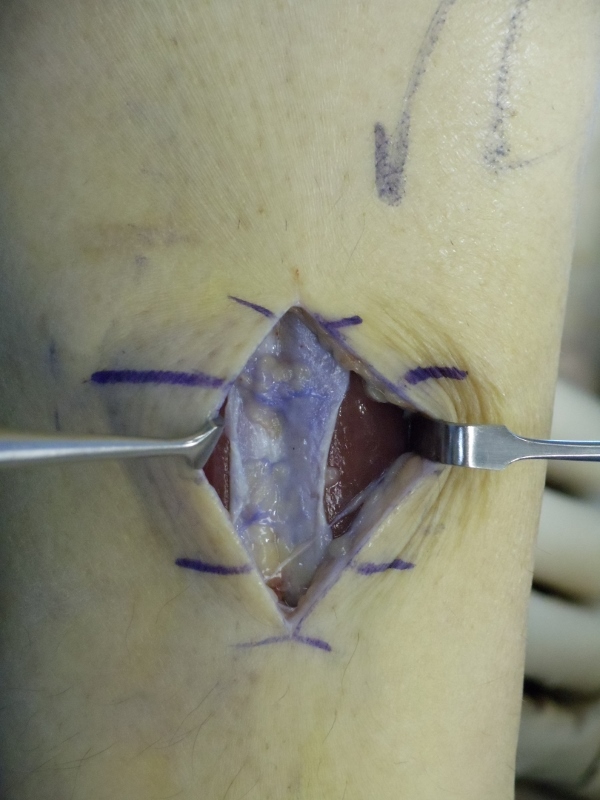 This is the guide hole for the anterior release.